I am a transplanted New York City girl who has had the good fortune to transition from a career in advertising/marketing to education to clinical counseling. I have a BA in Psychology, a MS in Academic Counseling and Masters of Social Work. I take a Solution-Focused approach to assisting individuals in finding personal ways to improve their life situations. My ultimate goal is to help you learn how to make the changes in your life that will bring improvements that will increase your level of happiness and life satisfaction. 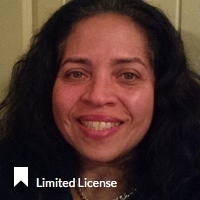 * Diana has completed coursework and received a Masters degree from an accredited university; however, she is not fully licensed to practice independently, and is under supervision with a fully licensed Provider. The State of Florida allows individuals under supervision to provide clinical services to Medicaid patients.